How to edit video with Total Video Converter ? Total Video Converter and Total Video Converter for Mac are powerful video editing tool which could be set detailed information for decode, video size, frame rate, video and audio formats, bit rate, sampling rate , start time and stop time (How to set ?) etc and convert the files with convenience according to your demand. · Separate the audio,and get disable audio.If you want to edit a file with disable audio,choose the button and it will help you. · Original Frame Rate: Default.If you don't want to change the sampling rate,you can choose the item. · Custom: If you want change the sampling rate,you can infill the ideal sampling rate in the relevant frame. 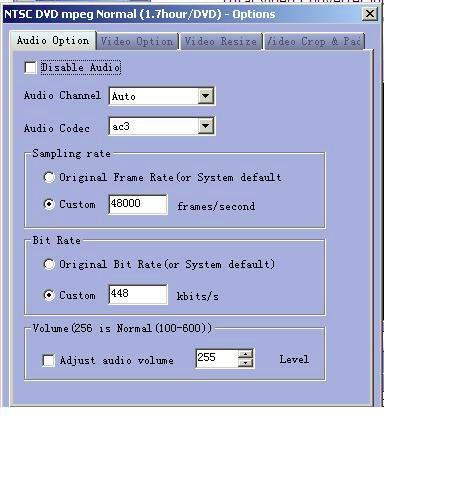 · Original Bit Rate:Default.If you don't want to change the original bit rate,you can choose the item. · Custom:If you want to change the bit rate of video,you can infill the ideal bit rate at the relevant frame. · Separate video and get the file with only voice.If you want to edit some file and disable the video,choose the button. · Custom:If you want change the sampling rate,you can infill the ideal sampling rate in the relevant frame. · Original Bit Rate: Default.If you don't want to change the original bit rate,you can choose the item. 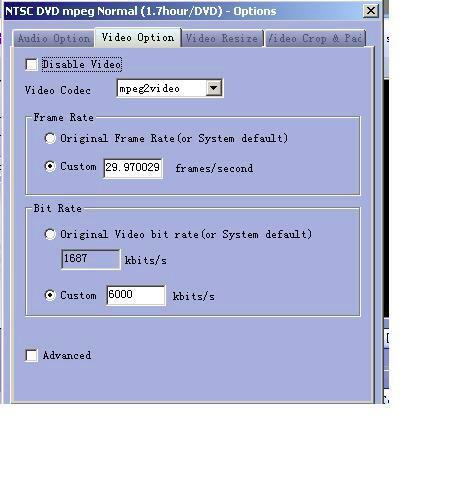 · Custom: If you want to change the bit rate of video,you can infill the ideal bit rate at the relevant frame. Custom size: If you don't want the above image formats,you could set any size image in here. · Aspect: The choice of length and width of video image. The system have the choice of 4:3 and 16:9. 4. 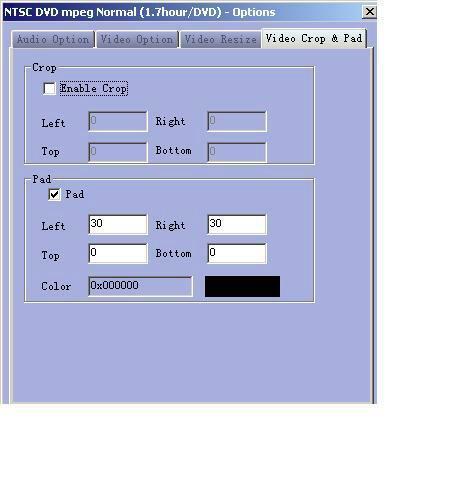 Video Crop and Pad Settings,eg4. · Crop: The crop of video image,System defaults not crop. and the converting file is the video after cropping from left,right,top and bottom. Get more information at: Total Video Converter.